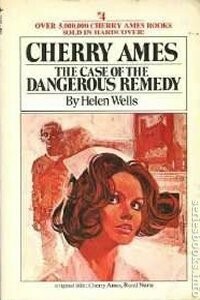 Charity 'Cherry' Ames is the peripatetic, job-hopping, mystery-solving, no nonsense nurse from Hilton, Illinois, featured in a series of twenty-seven mystery novels with medical settings published by Grosset & Dunlap between 1943 and 1968. 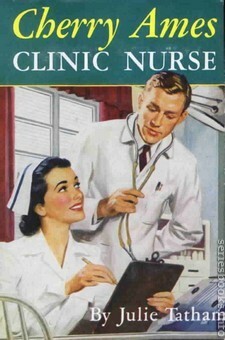 Guided by family friend Dr. Fortune, Cherry decides on a career in nursing. 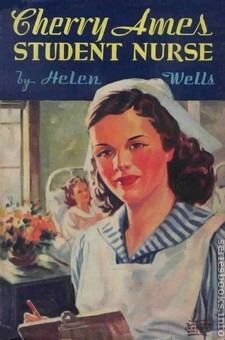 Her training at the Spencer Hospital School of Nursing is the subject of the first two books. While there, she meets the classmates (Gwen, Bertha, Josie, Vivian, and Mai Lee) who become series-long friends. 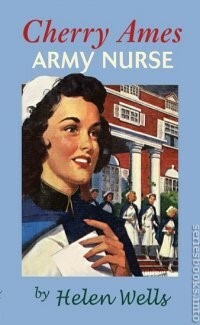 In the third book in the series, Army Nurse, Cherry joins the Army Nurse Corps. 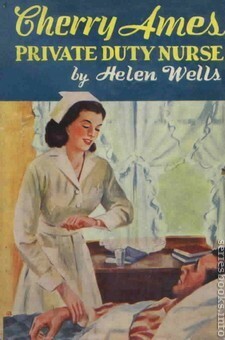 By the seventh volume, Private Duty Nurse, she's out of the Army and the eighth volume, Visiting Nurse, finds her living in Greenwich Village, NYC. Whenever Cherry takes a break from visiting nursing, Dr. Fortune just sends her off galavanting around the country on assignments. 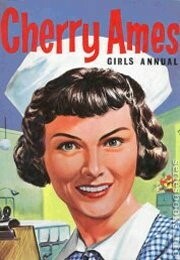 Cherry never got married, although occasional boyfriends crop up, like Dr. Lex Upham and Wade Cooper. 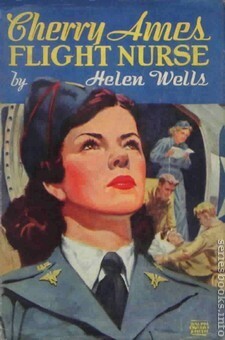 Helen Wells (1910-1986) wrote volumes 1-7 & 17-27, Wells also created the Vicki Barr series. 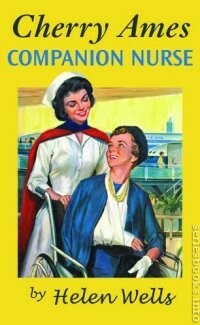 Julie Campbell Tatham (1908-1999) authored volumes 8-16 and was also the creator of the Trixie Belden series. Originally issued with dust jackets (volumes 1-22) in a deep red paper or, later, a reddish-brown tweed binding. 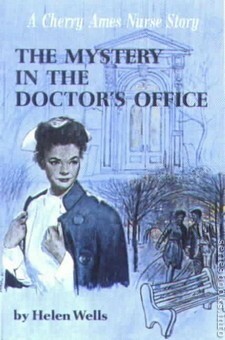 The change to picture cover (PC) binding occurred circa 1962, when Grosset & Dunlap switched all the series books they published to that format. Early PC editions of volumes 1-22 have a yellow spine, which was changed to green shortly thereafter. 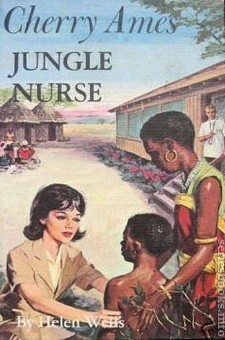 Grosset & Dunlap retitled and reprinted four titles (volumes 19-22) in paperback with new cover art in 1972. In 1978 they took 3 of the reprinted titles (volumes 20-22) and reprinted them with new cover art. 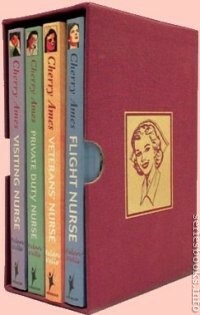 A new edition of Cherry Ames, Student Nurse was released by the Palm Healthcare Foundation, Inc., through its Palm Publishing LLC subsidiary. 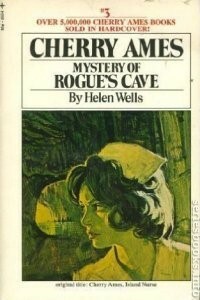 Starting in October 2005, the Cherry Ames books written by Helen Wells were reprinted Springer Publishing Company. Cherry begins three years of training at Spencer Hospital. 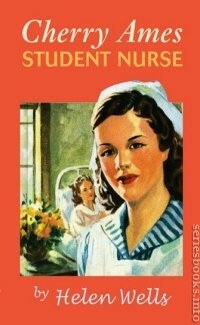 In Student Nurse, Cherry starts nursing school at Spencer with a mixture of anxiety and anticipation - would she have what it takes to be a nurse? She leaves her quiet town of Hilton, Illinois for the bustle of hospital life, to meet challenges she wouldn't have imagined. The U.S. is at war. Many nurses have gone to the front, and there is a shortage of RNs at Spencer-which Cherry and her classmates help to fill, as they learn the skills they need to graduate. And who is the mysterious patient in the secret room that no one seems to know anything about? Should Cherry risk expulsion to save his life? 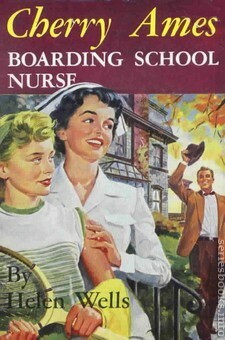 Cherry completes her final year as a student nurse. 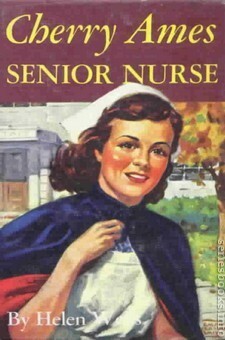 In Senior Nurse, Cherry realizes that "a senior really must be a little more sober and responsible" - perhaps she should have warned the head nurse right away about the rabbit that had been smuggled into the pediatric ward. But the children had enjoyed it so! As "lofty" seniors, Cherry and her friends each "adopt" a probationer (first-year student) to mentor. Why did her probie have to be dull and sullen Mildred Burnham? Dr. Joe Fortune has discovered a new way to synthesize penicillin - which could make a life or death difference on the battle front. But how did word of it become common knowledge around Spencer? Cherry discovers that Mildred has more to her than she thought as together they face the dangerous thieves who have stolen Dr. Joe's formula. 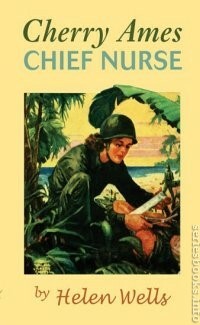 Cherry joins the Army Nurse Corps, serving at a base hospital in Panama. 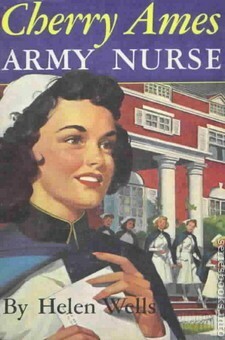 In Army Nurse, Cherry has made the difficult decision facing all her classmates - should she enlist in the military or practice nursing on the homefront? 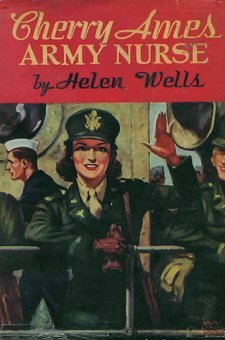 She's graduated from Spencer and earned the right to put "RN" after her name, and as an Army nurse, she is now "Lieutenant Ames." 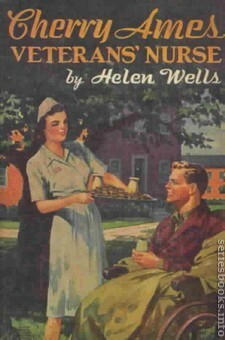 The Army nurses are also soldiers, and endure a grueling basic training under the harsh Sergeant Deake (whom Cherry nicknames "Lovey," much to his chagrin). No one knows where the Spencer unit will be deployed until they are shipped off without warning - to Panama City. 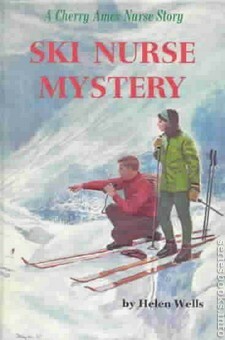 Who is the mysterious old Indian whom Cherry and her corpsman Bunce find collapsed in an abandoned house? He is obviously very ill, but with what? Can Dr. Joe's newly developed serum help? 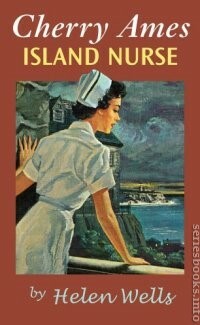 Still an Army Nurse, Cherry is promoted to chief nurse and organizes a hospital on a Pacific island. 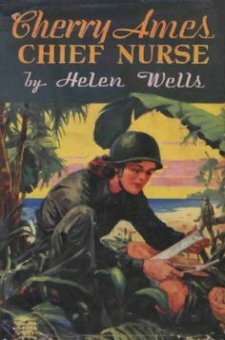 In Chief Nurse, Cherry is whisked off to a new assignment on an island in the Pacific close to the battlefront -as Acting Chief Nurse! 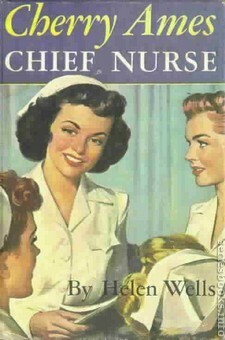 Colonel Pillsbee thinks she is too "young and pretty" to successfully supervise sixty nurses and 200 corpsmen. Can she do it? 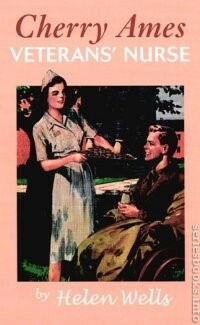 For the first time Cherry and the nurses of the Spencer unit have to work under fire, in a makeshift tent hospital uncomfortably close to the fighting. 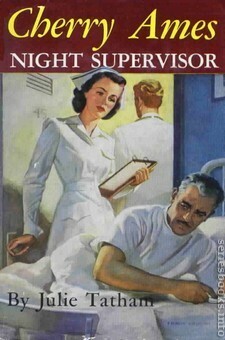 When the casualties pour in, the nurses and doctors work night and day, constantly under danger of attack by the Japanese. When the other Lieutenant Ames, Cherry's twin brother Charlie, is unexpectedly stationed nearby, Charlie and Cherry piece together the mystery behind the silence of an injured pilot - which involves a secret enemy weapon. Cherry is based in England and flies missions to help evacuate wounded soldiers. 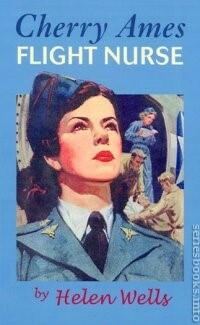 In order to become a flight nurse, Cherry Ames, already a professional nurse of skill, compassion, and courage, completes six weeks of intensive training that prepares her and others to fly in winged ambulances to every American battlefront on the globe to places where wounded men need their help fast. 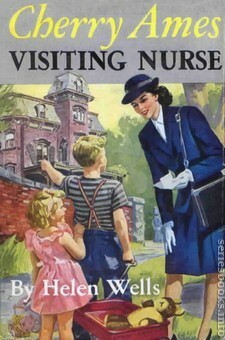 Her home base turns out to be in England, and when her childhood mentor, Dr. Joe Fortune learns of this, he entrusts Cherry with the story about an English family whose house had been bombed, killing the mother and leaving a small child to be cared for by her grandmother, Mrs. Eldridge. It was the behavior of the child's father, Mark Grainger, that disturbed Mrs. Eldridge sufficiently for her to have contacted Dr. Joe. Now Dr. Joe turns over this mysterious set of circumstances over to Cherry, asking her to do all she can to help this family, while managing to be discrete. There is no dearth of action, mystery, mission, love, and caring as the story wends its way to its exciting conclusion and Cherry finally returns home to Hilton, Ill.
During peacetime, Cherry returns home to work at a veterans hospital. The war is over, and Cherry is sent home. Her new assignment is working in a veteran's hospital, where she finds her biggest challenge in raising the spirits of men who have lost arms, legs, or other body parts. Will they be welcomed back to their families and able to work again? Jim Travers, the woodworker who has lost a leg and was the sole support of his elderly mother, isn't convinced. But he finds he is of critical assistance to Cherry as she tracks the mysterious thief who has robbed the Veteran's Centeer of a medicine that can help a small boy recover from a deadly disease. Cherry takes a private duty case that involves her in fortunetelling and blackmail. Cherry has finally been discharged from the Army and is back to civilian life. 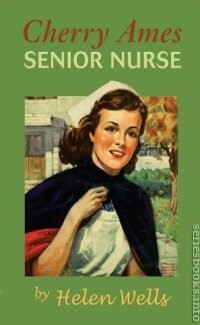 What should she do next after her intense years of Army nursing? 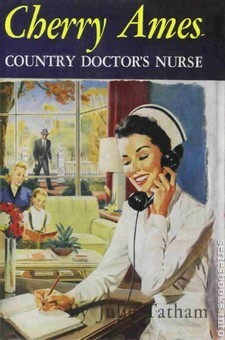 Dr. Joe finds her a job as the private nurse of a celebrated musician suffering from a dangerous heart condition. How can Cherry help him avoid the deadly stress his devoted sister unintentially causes when she visits fortuneteller after fortuneteller? Will their family secret be revealed? 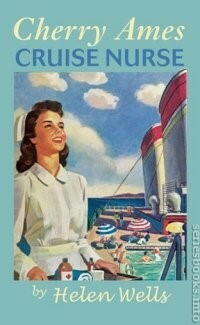 Joining the Visiting Nurse Service, Cherry moves to New York & shares an apartment in Greenwich Village. Cherry reunites with her old Spencer classmates Gwen, Bertha, Josie, Vivian, and Mai Lee, when they all decide to take an apartment together in New York City, and work for the Visiting Nurse Service of New York. Greenwish Village is a far cry from Hilton, Illinois, and farm-raised Bertha is ready to mutiny when she tries to cook in their tiny kitchen. Assigned to a specific neighborhood, Cherry marvels at the many countries her patients come from--and is determined to resolve the loneliness of a few of them by having them all meet at an "Around the World" Dinner at the local settlement house. But who is the mysterious woman who lives in the Victorian mansion at the center of her district? Why hasn't she been seen by anyone in the past 18 years? Cherry's working vacation on a cruise ship embroils her in a search for rare jewels. 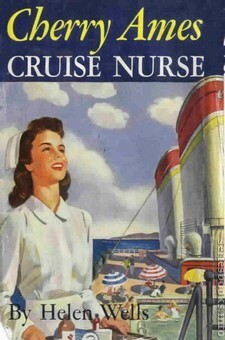 In Cruise Nurse, Cherry is looking forward to a working vacation as nurse on a cruise ship to the Caribbean, Cherry Ames soon finds herself embroiled in a dangerous mystery involving a sickly child and greedy men anxious to find a secret stockpile of precious ambergris. Cherry returns to work at Spencer Hospital and helps exonerate a man convicted of a robbery. Cherry's post at a financially strapped hospital finds her confronting a prominent patient. 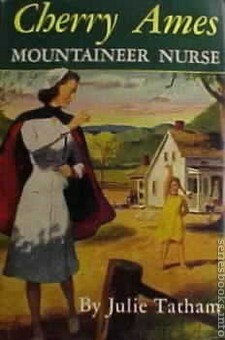 Cherry's work in the remote Kentucky mountains involves her in family feuds. Cherry is kidnapped and forced to treat a victim of a gunshot wound. 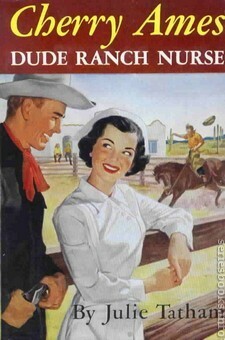 Cherry nurses people with asthma at a dude ranch and helps a teenage orphan. 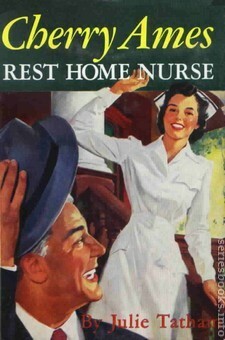 Two difficult patients create turmoil for Cherry at a rest home and a man appears to be stalking one of them. Cherry's new post as an office nurse involves her in a nasty public issue. 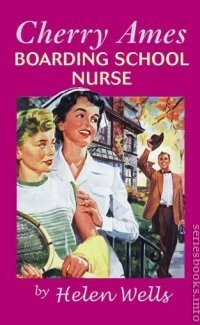 Cherry's assignment as a school nurse leads her into a search for a hidden perfume formula. Cherry's natural curiosity leads her to discover a secret room in the reconstructed ch,Äöteau now used as a girls' boarding school. There she finds a formula that when recontructed to its exact specifications produces a perfume that saves the school from bankruptcy. 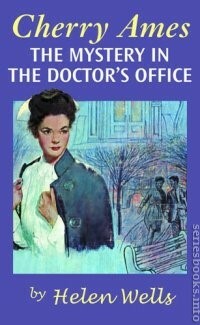 Cherry's medical office adjoins the antiques department, where a series of mysterious thefts have occured. 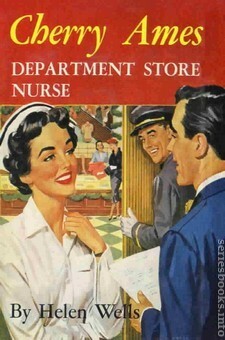 Cherry's first aid center is adjacent to the antiques department of a large department store, where a series of thefts have pointed the finger of suspicion at a young, recently widowed employee. But Cherry's instincts say otherwise, and her tenacity helps uncover the truth. 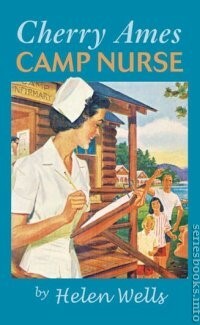 As a camp Nurse, Cherry gets to the bottom of a series of robberies. While working as a camp nurse, Cherry follows a trail that ultimately leads to the true perpetrator of a series of robberies and exonerates a hard-working young man who had been under suspicion. Cherry helps unravel the problems that cause the breakdown of a frightened young man. 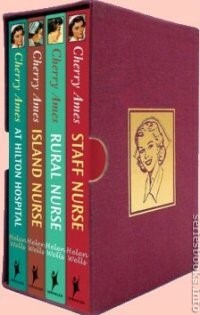 One of the strangest cases of Cherry Ames' absorbing career comes her way while working as a staff nurse at Hilton Hospital in her home town. A young man, victim of a car accident, is brought to Emergency with a broken leg. Shortly after he is admitted to the hospital, the doctors discover that "Bob Smith" has been suffering from amnesia for several months. Who is he? Where is his home? What tragic happening caused such distress that his memory is a blank? Answers to these questions must be found if "Bob" is to be cured. Working under the direction of the medical and psychiatric doctors, Cherry plays a crucial role in helping the patient to get well and to find a solution to the dilemma that caused his "flight from memory." 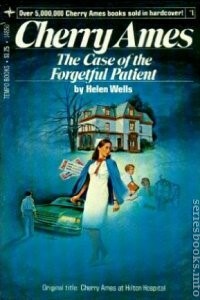 Clues develop as the psychiatrist uses various techniques to help the patient recapture his lost memory. "Bob Smith" insists that he is guilty--but of what he cannot recall. During her free time, Cherry follows up obscure clues and encounters suspiciously difficult people and an alarmingly tangled situation. 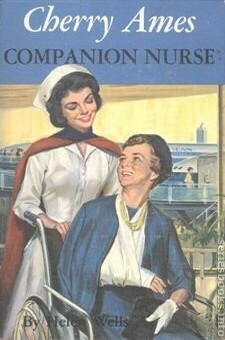 Here is a fascinating story that will be long remembered by the lovable nurse heroine's legions of admirers, both young and young at heart. A private duty case takes Cherry to a remote Canadian island, where intrigue surrounds a mining operation. 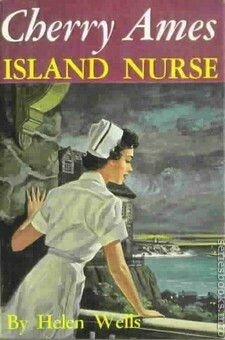 Little does Nurse Cherry realize when distinguished Sir Ian Barclay is rushed by his nephew Lloyd to Hilton Hospital that her newest case will carry her north to misty, sea-beaten Balfour Island, off the rugged coast of wind-swept Newfoundland. "Sudden hemorrhage of a peptic ulcer," Dr. Joe Fortune had quickly diagnosed, and Cherry is assigned to care for the truculent but endearing old Scotsman. Cherry soon suspects that more than illness is worrying the peppery owner of the Balfour Iron Mines, and her suspicions only deepen upon their arrival at Barclay House on Balfour Island. True, there is trouble at the mines. But the mysterious actions of Sir Ian's erstwhile friend, Jock Cameron, force Cherry to conclude that trouble of even greater consequence is in the making. What hold does the industrialist Broderick have over Sir Ian? Who is "Little Joe" Tweed, and why does his trawler Heron ride at anchor off Balfour Island? The startling solution to this baffling mystery waits for Cherry in three different places: deep in the salt-stained recesses of Rogues' Cave, in the musty tower room of Barclay House, and in the hole on the hill. But first Cherry must face the effects of an island storm, as she and the island doctor struggle to save the crew of a shoal-wrecked boat. 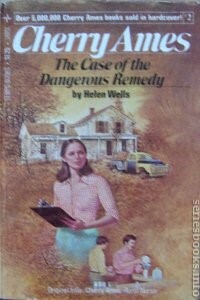 Cherry, an Iowa public health nurse, suspects an abandoned farmhouse holds a secret. 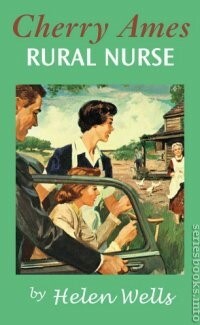 As a public health nurse in Iowa, Cherry works with federal authorities to quash the manufacture and distribution of a bogus remedy and discovers the secret of a decrepit, abandoned farmhouse. Cherry investigates a get-rich-quick scheme recommended by an arthritic patient. 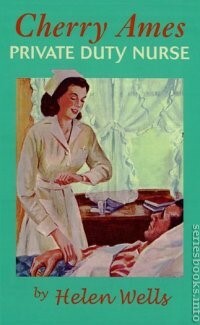 When Cherry Ames learns that the new patient in her ward is using the proceeds from her deceased husband's life insurance to speculate in stock, she judges her foolish. 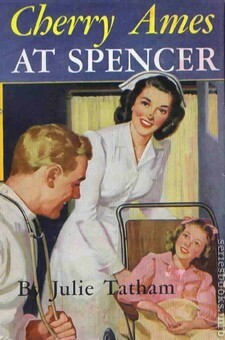 And when the young woman explains the Pell Corporation investment program, Cherry suspects that her patient is being swindled. Even more serious, Peggy Wilmot is jeopardizing her health. For emotional tension over the delayed arrival of her weekly dividend check is retarding her recovery. But how can Cherry influence the headstrong young woman who seeks financial help from the wrong people? Find out the truth about the Pell Corporation, Cherry decides, and let the facts speak for themselves. Some of the vital questions to which Cherry must find the answers are: What are the Pell Corporation's actual operations as distinguished from the fantastic claims made in its impressive brochures? Is the mysterious Cleveland Pell really the financial wizard he claims to be? 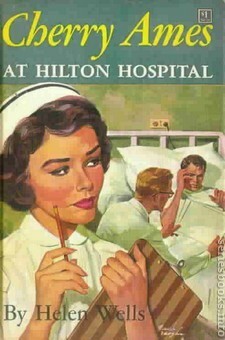 Busy with ward duty and a training program for teen-age junior volunteers at Hilton Hospital, Cherry does not have much time for another extracurricular task. But the plight of Peggy Wilmot is too serious to be ignored. 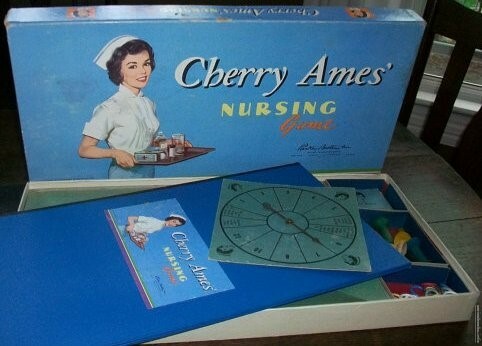 What Cherry learns in the mysterious world of the "high finance" confidence game will surprise the reader as much as it does America's favorite nurse heroine. Cherry travels to Great Britain but the museums she visits are plagued by a series of art thefts. 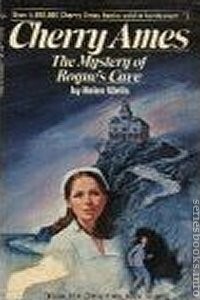 Cherry's job as nurse to the well-known historical novelist Martha Logan would be an exciting assignment for any young and pretty RN. 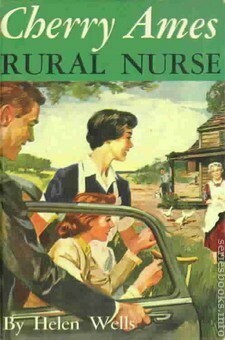 And it is doubly exciting for Cherry, for when the author goes to England to do research for her next book, Cherry goes along as companion nurse. But the glamour of new acquaintances and the thrill of seeing famous historic places is soon overshadowed by disturbing events. Martha Logan and Cherry visit the Selsam Gallery in London--it is robbed of a fortune in art treasures. Several days later they are enjoying the famous Carewe private collection--when four masterpieces are cut from their frames! Are the thefts somehow connected with their visits? Have some of their new acquaintances used Martha to help them perpetrate the thefts? Or is it merely coincidence that the places the two visit are robbed? Cherry thinks the evidence says NO. It takes all the ingenuity and courage of the alert and pretty young nurse to fit the odd, baffling clues together and unmask the criminals in time to prevent another theft of priceless art. 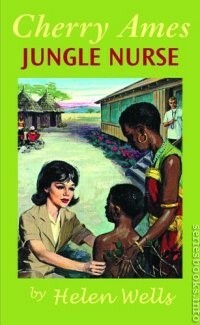 Cherry uncovers a smuggling operation in an African village. When Cherry Ames is offered a temporary assignment to help establish a health clinic in a small native African village, she sees it as a once-in-a-lifetime opportunity. Not only will she be visiting a strange and exciting part of the world--but, more importantly, she will have a chance to help the underprivileged people of a very poor country. But no sooner has the clinic been built than Cherry finds herself caught up in the midst of a mysterious chain of events. Rough diamonds are being smuggled out of Africa--and Cherry's acute observations lead her to believe that the clinic itself is the base of the smugglers' operations! By carefully putting together obscure bits and pieces of evidence, and at great personal danger to herself, Cherry sets a trap for the criminals. How the alert and pretty young nurse from the United States manages to put an end to an international smuggling ring provides a whirlwind finish to a fascinating story of mystery and intrigue. 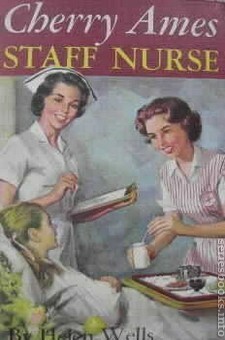 Cherry is an office nurse but the medical secretary is behaving suspiciously. 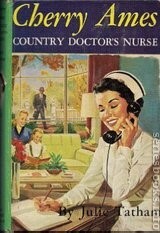 As a doctor's office nurse in New York City, Cherry Ames faces new challenges and makes some extraordinary new friends. First in importance is her dynamo of an employer, Dr. William Fairall. Glamorous theatrical patients flock to his Victorian brownstone offices. His assistant, young Dr. Grey Russell, plays a vital role in Cherry's eventful summer--and so do funny little elderly Dr. Lamb and the strangely moody medical secretary Irene Wick. Among the interesting, colorful people Cherry meets are a stricken ballet dancer, her handsome actor husband, and their adorable baby, who move into the vacant top floor of the brownstone. And when her nurse friends, with whom she shares an apartment in Greenwich Village, inherit an old house near a beach in a charming summer resort area of eastern Long Island, Cherry foresees especially gay, carefree weekends. But Cherry's expectations are soon shattered. Confronted by a mysterious, alarming series of events, the pretty nurse finds that she needs all of her detective skills when the clue of the dinosaur plunges her into the center of intrigue. 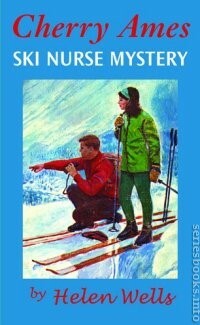 Cherry takes a temporary assignment at a ski resort in the Swiss Alps. Cherry Ames is thrilled to be working in a picturesque ski resort town in the Swiss Alps. 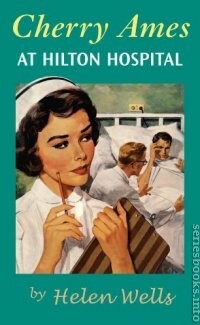 The town's only doctor has employed her to assist him in his ten-bed hospital. Within 24 hours after starting her new assignment, Cherry encounters a hostile, menacing patient who seeks emergency medical care at the hospital. A few days later, other suspicious persons turn up at the hotel where she is living, and Cherry finds herself deeply enmeshed in an unknown danger. 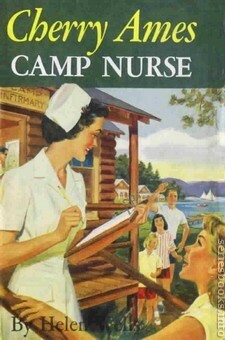 Cherry Ames, popular heroine of the famous series of nursing stories, gives you hundreds of fascinating nursing facts and shows you how you can apply them in the home, at school, at camp, wherever you may be. 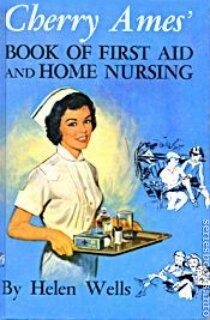 Cherry tells about: How to make a first-aid kit. What to do in an emergency. How to make and apply bandages and dressings. Treatment for shock may save a life. First aid for wounds. How to treat burns and blisters. 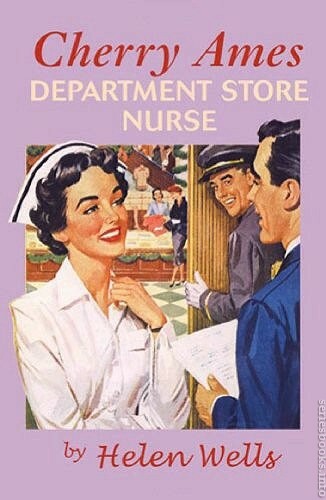 How to help a patient get well. Safety in the home and outdoors. Treatment os scores of minor injuries. How to give artificial respiration. Baby sitting. 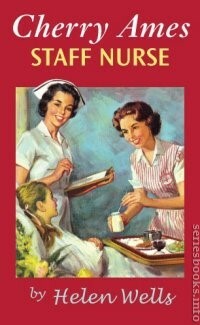 How to serve a patient's meals. 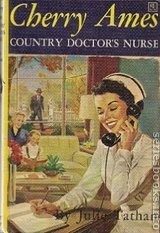 Volumes 19-22 were retitled and issued in paperback by Grosset and Dunlap in 1972 with new cover art. 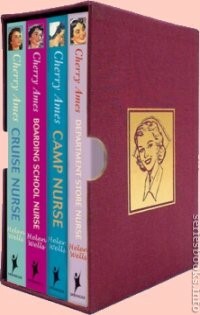 19 - Cherry Ames, Camp Nurse reprinted as "The Clue of the Faceless Criminal"
20 - Cherry Ames At Hilton Hospital reprinted as "The Case of the Forgetful Patient"
21 - Cherry Ames, Island Nurse reprinted as "Mystery of Rogue's Cave"
22 - Cherry Ames, Rural Nurse reprinted as "The Case of the Dangerous Remedy"
In 1978 G&D released 3 volumes of the retitled tales (Vols. 20-22) with new art. 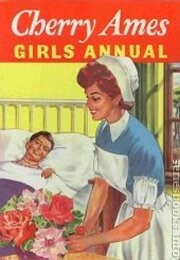 Each paperback series renumbered the stories starting with volume 1. 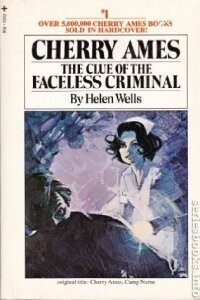 "The Clue of the Faceless Criminal"
"The Case of the Forgetful Patient"
"The Case of the Dangerous Remedy"
In October 2005, the Cherry Ames books written by Helen Wells were licensed to Springer Publishing Company. The first four books in the series were reprinted in facsimile hardcover editions, and made available individually and as a boxed set. In August 2006, four more Wells titles were republished in the same format, and in June, August, and December 2007, the remaining Wells titles were made available. 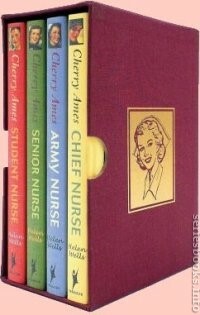 A new edition of Cherry Ames, Student Nurse was released by the Palm Healthcare Foundation, Inc., through its Palm Publishing LLC subsidiary. 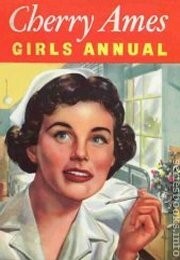 Proceeds from the sale of the books were used to support nursing scholarships. 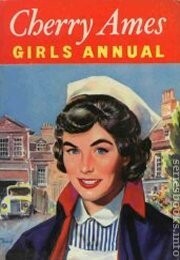 Between 1958 and 1964, the Cherry Ames Girls Annual was printed and distributed in the UK, usually before Christmas. 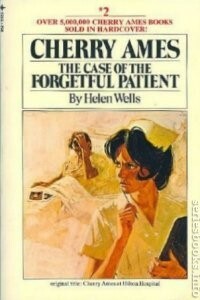 Each annual had two original Cherry Ames short stories by Helen Wells and additional stories by other authors. 1958: "Bermuda Adventure" & "Flood Train"
1959: "Ghost Town Mystery" & "Christmas in New York"
1960: "The Pinafore Club" & "The Big Wind"
1961: "Frontier Week" & "Snowbound"
1962: "Rocky Mountain Adventure"& "The Case of the Puzzling Patient"
1963: "The Playhouse Mystery" & "The Trouble with Sarah"
1964: "A Cape Cod Tale" & "The Riddle of Devil's Mountain"
In 1959, the Cherry Ames' Nursing Game was published by American board game manufacturer, Parker Brothers. 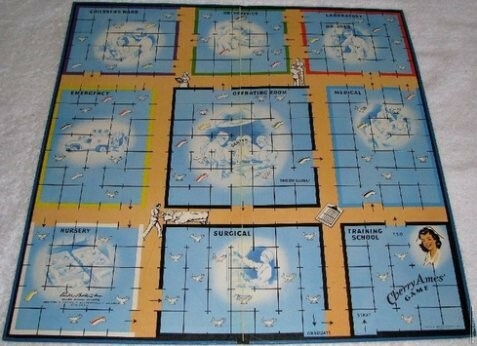 Designed for 2 to 6 players, the game consists of a center-seamed, illustrated game board depicting various rooms in a hospital, 6 colored tokens, 36 colored rings, 20 directional cards, and a spinner. The object of the game is to travel about the board, gather six rings, and then leave the board at the space marked graduate.